Thanks for posting JJ !…..Transcendence & Artificial Intelligence…a mismatch of misguided, misinterpreted desires & intentions of mankind….not of balance, not of Unity & not of Compassion….we are supposed to work with the sanctity & existing true divine intelligence of Nature which is Creation …. not against it….or re-design it. Long-term constabularies have taken form in Gaia Energetic grid. “Force” fields of Peace are strengthening concomitantly. Fendings of Higher Aligned Spirit workers is ended. Placements of planetary flight paths nears completion. Arcs of Connection are finished. Yes, well I am about ready to fly. I suspect a few of you would like to also. under constable rule in Gaia grid ? Long Term. by Who? a body of constables of a district is a definition of ‘constabularies’. simply means Mother has re-gained long term mastery & stability of the energy grid…..not meant to imply human perceived military implications. yes… I never thought human military in my questioning. Good Constables can make for order and peace! In my life the Transparent Matter has arrived. I don’t know much about it, but at night I had severe abdominal pain, in the morning they were gone. My body is probably just very transformed. What do you really mean??? Please clarify!!! We are all in tune! The Heart sure wants to Get Up And Go doesn't it?!! Again to paraphrase Bashar; it’s all one energy flowing through us, it’s how we filter it, with our beliefs and perceptions, that colours it! P.S> Congrats on Be-ing published! „And an infinitely beautiful, new day begins”. I still have to get much better at easing up inside. I am so ready for all this. Its not that. It can still be a challenge to trust for me – still having things to take care of in life, etc. when all I want to do is fly around with some fairy dust! I can see how loosing my job was so meant to be – and perfect timing! I would not have done so well if i was still in the 10 hr position 5 days per week. Being here on the ground with the people is where it is at. Where we shine and do our stuff. I always know just what to say and how to say it. I trust that. There is a flurry of energy inside that can be taken as being disconcerting in these times of extreme change. ❤ Thank You, wonderful, Lovely Vinny! In Appreciation and Gratitude, xox Lin ❤ Be well. I was discussing the importance of “not settling” anywhere too “comfortable” in this NOW moment a night ago with another who happens to be one “level up” from me. We both agreed that for MANY of us – but not all – that a new silent “motto” has been whispered ~~ “DO NOT SETTLE”. I believe you will understand, Aisha, along with those for which these words will resonate. I feel like my container/body has bursted like a bubble and definitely “feeling weird, but wonderful”, like you say. At passing over, it felt like an energetic layer was peeled off of my heart and it became calm 🙂 The energies are now free and close contact with beings are more evident. Thanks ‘B’….a great one…I Love all these nature films & videos (BBC, Nova, etc)…I think I’ve seen just about all of them !….the Blue Planet series are favourites !…. Could CC be talking about a etheric energy flow? Go into the heart spark and go out to the universe!!! Anyone have an idea what the process is!!!!! Could this be what CC expressed?? if you should not drink and drive, then why do taverns have parking lots? Can you let me know how to do that?…too many. There seems to be all kinds of stuff coming over the ley lines here today…up and down and all around. Some really good, some not so good. Yesterday for awhile Gaia meredians were perfectly balanced as well as in many patients. Today not so much, but it’s mostly just the earth. There seems to be a lot zig zagging back and forth with human consciousness. I have been beaming love to try to help earth and humans balance. The sounds have been very interesting. While I often hear bangs and booms, today there were 3 single big booms exactly 1 hour a part coming from earth and were different that before. Even the whirring sound is different. Are any of you sensing anything similiar? Well, something is definitely beginning. The structural noise I’m hearing is, once again, south and east of here. Magnetics are wonky everywhere. Gates on many levels are opening and closing. Have been for a while. Perhaps the final dress rehearsal?? I don’t think it will be much longer before we’re all in place for the opening ceremony and performance begins. Well something is definitely happening alright. I just went through one hell of a squeeze. Thanks for your imput. Hope all is ok with you. The gates on all levels are like the valves in a physical heart, which both function as sound in a similar way. There is a lot of melting down now – in more than one way and in every sense of the word …. Thanks Aisha !…certainly an upcoming important event & will have purpose & connection to the 9th pyramid also known as ‘Meru’ & she is in the Arctic specifically for a reason & she has leadership over all other pyramids & the grid of the Earth & Consciousness ! You’ve posted this link before…a great one in which I saved ! balancing the poles of the planetary grid and of consciousness…. ‘9’ is also a very special magical number !….the added sum of any number multiplied by ‘9’ = ‘9’ ! you will always end up with ‘9’ ! that’s quite Amazing I think…. Thank you all for the above intriguing information and insights. For Curiosity’s sake I almost jumped into the flow of a most widely dancing ley line hoping to see for myself what the heck was going on. However, two steadfast and bonny companions, intuition and common sense, advised me to step back from the bank and take a more measured approach. “Perhaps,” they said,”you might need all your faculties in optimum condition to maneuver through these particular currents.” Since several faculty gauges measured low, of course tis to our Pond’s Well of Wisdom I came. As always there is much for me to draw from. I had a lot of big issues coming my way yesterday about Monsanto and what they are doing in Argentina. The pesticides they use, they have to be increased every time because the weeds get immune to them. The pesticides are causing cancer and genetic deformities in the communities that border the fields. Also everything that preceded the Snowden affair was highlighted to me big time yesterday, the way the Bush administration lied to the public. Blah, lots of garbage….maybe needed to be sluiced away. I dunno. I normally don’t watch any of this stuff. not to worry JJ….all harmful things must come into the mind’s view of all to see before appropriate & effective solutions can be put into action. It must be this way in order to learn from our mistakes. Interesting you mention ‘Monsanto’…this was the video I posted ‘Dead Seeds’ under the ‘Transcendence’ trailer you posted. Keep shining your beautiful self my friend, being & showcasing the inner wonder that is You ! As for the sacred wonder that our physical vehicle truly is. and the central role of the human heart, are you familiar with the ground-breaking science and artistry of Frank Chester? Frank is master geometrician and sculptor, among many other accomplishments, and in his presentation he displays how the human heart is a multi-fold masterpiece of sacred geometry, and that the geometry of the heart is a microcosm of the heart at the center of the planet. This is no frilly New Age hype. Frank’s work is a meticulous blend of the most precise geometrical proportions coupled with astoundingly beautiful artistry, and totally redefines the form and function of the human heart. Also, Frank’s beautiful works of art based on his discoveries in sacred geometry can be seen at http://www.frankchester.com. i want to add that i am not financially compensated in any way by promoting Frank’s work. i highly recommend viewing his masterpieces. Again, thank you, Aisha, and i will share your insights with my elderly friend who is nearing “death’s” door, and who will be inspired by your words. Dear Tim! Welcome to this Pond! Thank you for everything you have shared, I have only taken a small peek at it but it is enough to set off so much inside me. But most of all, I thank you for bringing your light here and to this world! I send you my love, my light and my gratitude in return, and I hope you will share it with your dear friend on your next visit. Thank you, Aisha, for your welcome reply. Hello to all in this community. Absolute stillness and peace, the release and relief of all chaos and trauma, and the loving embrace of those we hold dear, in the infinity and eternity to be realized within the innermost sanctum of our Heart, individual and collective. what a splash you make as you surface the pond. i can only think of one other with such an impact. as i recall in my very first comment, i was admonishing the cc’s for something, maybe, jumping to conclusions or that ilk. WOW B! Your choice of and the timing of your new gravatar could not be more appropriate – take a look at about 17 minutes into the film Tim has posted!!! (sayin’ again)….I really Like it ‘B’ ! Everything just happens nowadays – and SO much happens all the time. Really feel like that old policeman in the crossroad that I described earlier and I feel so EXCITED – and sometimes I blow the whistle out of pure joy :))) ❤ Thanks bev~ ! Yes – indeed :))) I had a long distance walk in the sun to a supermarket last Sunday and took this pic on the busstop on my way back – just seconds before the bus arrived :))) Coincidence? Nope! Thank you so much Tim for adding this yet another wonderful piece of the puzzle ! I Love sacred geometry & especially when individuals like Frank excel their creative talent & wisdom in bringing it together to expose real live sense so others can ‘See’ how all of creation fits & has a Master Plan ! 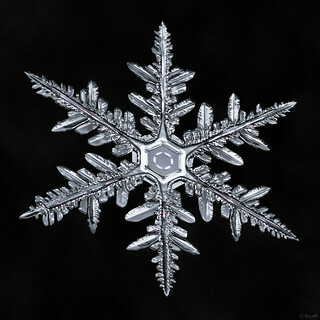 I so wished he had spent more time in tying ‘Water’ or I should say ‘Ice Crystals’ into his discoveries, as I believe he would see further expanded amazing revelation links to the hidden powers of Divine Intelligence within Creation ! I Love how he used the analogy of Artistry (Spiritual Expansion) to Science (Math, Geometry & Compression)….but the real hidden explorational wealth is in the creative Artistic mind (Limitless Expansion to Seek meaning in the unknown)….I always believed that when these 2 opposing mindset fields come to the ‘Ah Ha’ moment where they both say ‘Look how my piece of the puzzle fits perfectly into yours’….that’s where the true visible real life magic is revealed !…We still have much to learn & to discover & to unite in making sense as an energetic strong & understandable ‘Unified’ form of existence, but we are getting there & it is speeding up ! We want to know the Truth & Creation wants us to know the Truth & is more than happy to strategically & masterfully provide as we keep our desires & intent on working with the Divine Creational Sacred Plan….becoming One with Creation…working with her, & not against her ! The sacred geometry of Spirit has been known for thousands of years, but has been hidden, concealed away from humanity. It’s beautiful sacred form is expressed within the Star of David, a strong iconic symbol that most recognize it with no understanding of it. photo is by Don Komarechka….my photographic friend & scientist exploring the scientific properties & wonders of snow flakes….but also a great guy !… & I believe….a becoming Artist (creative Expansion) ! if the storm needs to continue it is alright by me. There most surely is a crystaline atom in our heart space that is different from all the other atoms in our body/avatars,,, to me this reality is a hologram and this crystal is our doorway out. To me,,,,, we may enter this universe perhaps through this same crystal in Gods heart space, and perhaps also to enter Gaia/Sophia’s Heart Space to experience in joy this reality. i believe (in a very broad sense) every atom has at it’s center a zero point field,, ISIS,,Isness, nowness, stillpoint, threading the needle, the eye of the atom,, the eye of the special crystaline atom in our heart space’s,, the doorway in and out of this holographic reality…..We may perhaps even pass through this eye in the form of a photonic particle/wave at the miniscule size less than that of an atom, in one great long energetic ribbon of cotton. a few moments ago i popped into merlins cave (etherically) and met up with him,, it was hazy and vague, but i imagined him to offer me a drink,, which i drank and then he seemed to say that crystal should begin melting now…. i thought that’s cute, as i also read i think on Aisha’s link there, pyramid number 9 was also melting away quite merrily; so here am i picturing melting ice blending into maybe the waters of life ? ” …. return to that place you once came from before you started to manifest within such a corporeal existence as you have chosen to become a part of here on Earth. Ahhhhhh ….. what a treat! I hope that this “elementary concept” become aware in all! Thanks Aisha dear and thanks delicious Constant Companions. Gamma Wave Journey YouTube and transcription: http://suzanneliephd.blogspot.de/2015/01/gamma-wave-journey-youtube-and.